My fascination with the seasons is deepening. I’m becoming increasingly aware of the impact all of the seasons and cycles of the earth have on our lives, rhythms and well-being. The way that we have structured modern life has created a growing distance between us and the earth’s cycles. We live as if we believe that the changes in the natural world have absolutely no impact on us. Even when studies show that more women go into labor and emergency rooms are fuller on full moon nights, we discuss these realities as if they are a quaint folktale. Monthly cycles of the moon, four seasons of the year, dawn and dusk and high noon, 24 hours in every day, impacting our lives dramatically on an emotional and physical level, and signifying even more spiritually. It is worth paying attention, don’t you think? Because of my lifelong history with Seasonal Affective Disorder, even as a child I was aware of the dramatic fluctuations I experienced in my energy + emotions in spring and fall. But winter? Well that was just a season to endure, not something to actually live. My habit was to wave a quick goodbye to winter at the first sign of spring and (hopefully) not think about it at all until the next fall had arrived. This was my equivalent of saying “good riddance” and not looking back. But I’d find myself mid-summer with unfinished emotional business to tend to. I’d be completely unprepared for the diminishing light and for cycling toward the quiet season once again. I would resist, resist, resist going inward, even when I craved that kind of rest deeply. I couldn’t figure out how to create a smoother transition because I didn’t want to acknowledge anything hard or sad or tinged with regret, even if there was beauty, profound beauty, in it. But I’m learning. It seems obvious to me that the Creator has a higher purpose for arranging our interconnectedness with the earth and its rhythms. The more attention I pay to living in harmony with seasonal changes, the more wellness I continue to experience, the less resistance I encounter, and the more freedom I find to be wholeheartedly joyful. I’ve never seen anyone write about the shift from winter to spring as Teri Starnes did on her Facebook page recently (see excerpt below.) Her words made so much sense to me on an intuitive level that they have inspired lots of fresh thinking over the last couple of weeks. Perhaps, I thought, this is why there are so many people who suffer deep depression in spring. It can be frightening to go back out into the world, physically speaking: The noise level is higher, the response time for interpersonal interactions is shorter, the colors are brighter, the foods are fresher and smells are more varied and intense. So, while I’m looking forward to spring showing up as much as the next Minnesotan, I am approaching this transition with more awareness than usual. It is tempting, when the sun warms the ground and the euphoria hits, to run headlong into the next season, without acknowledging that though a longed-for change, it also requires a letting go of what has been. Even if one feels “ready” on a conscious level, there may be something jarring about the transition for the subconscious and for the body. And while I gear up for more socializing and physical activity and fresh air, I’m going to practice more self care than I have in the past. It is not my intention to shock my system by moving too quickly in a new direction. Nor do I want to disrespect the gifts this winter has given me by casting them aside, unacknowledged. 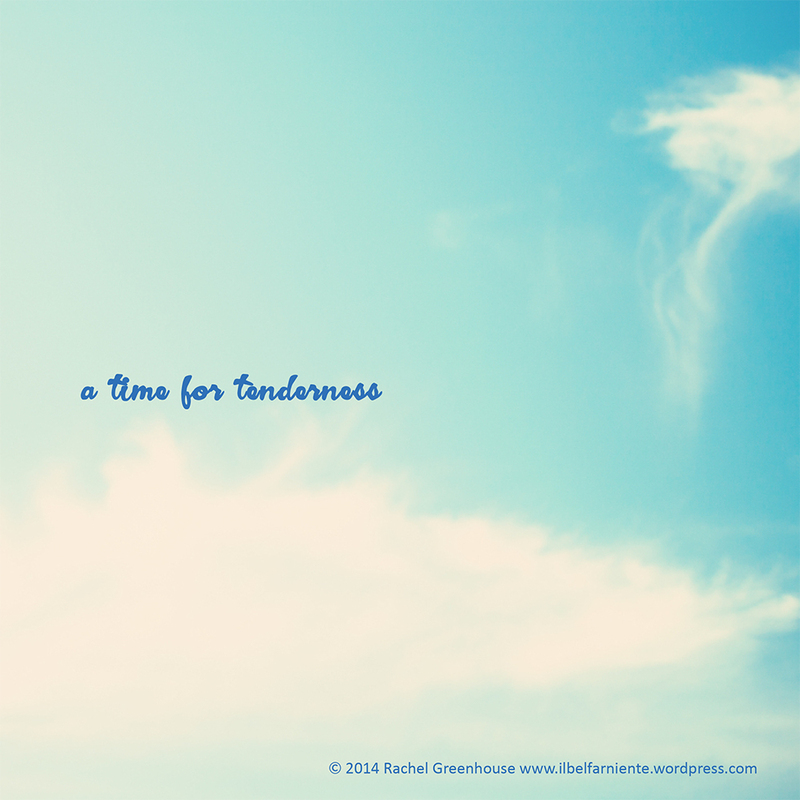 For this highly-sensitive + introverted soul, it’s a time for tenderness. And perhaps it is for you as well. Today is the last day of winter (in the northern hemisphere). Are you ready to let it go? With the Moon in Scorpio, we could feel a little resistant to shedding winter layers even if we are tired to death of it. These layers can be metaphorical as well as literal. Winter is a time to go within; the movement back out can be disorienting. A good way to support this shift is to honor the internal experience you have had. It has transformed you…Go with the flow. Let water bring you the place of self-love. Cleansing and nourishing, water makes the way for Sun’s ingress into spring tomorrow.